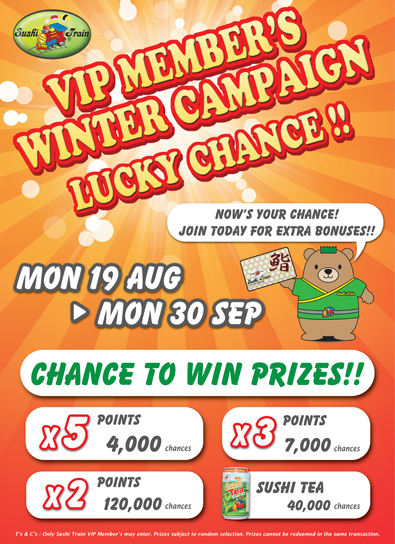 Sushi Train VIP Member Winter Campaign!! VIP Members will know instantly which prize they have won, when their card is swiped. Winning points can only be redeemed in the next transaction. Become a VIP member NOW to WIN! 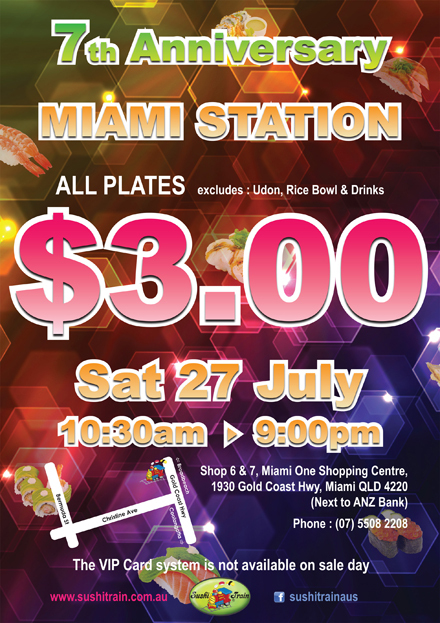 Sushi Train Miami Station 7th Anniversary $3 Sale!! excludes: Udon, Rice Bowl and Drinks. excludes: Udon, Rice Bowl, Sashimi, Dessert and Drinks. We thank you for your continued support and apologize for any inconvenience caused. Management of Sushi Train Sunnybank Station. 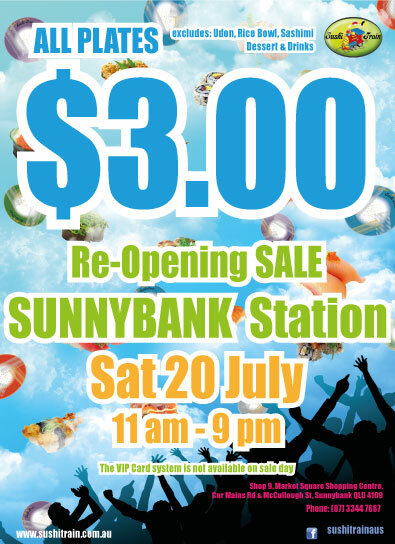 The Sushi Train Bondi Beach Station in NSW will be closed from Tuesday 2 July 2013, due to the major store renovation. Thank you very much for your cooperation and support. Management of the Sushi Train Bondi Beach. 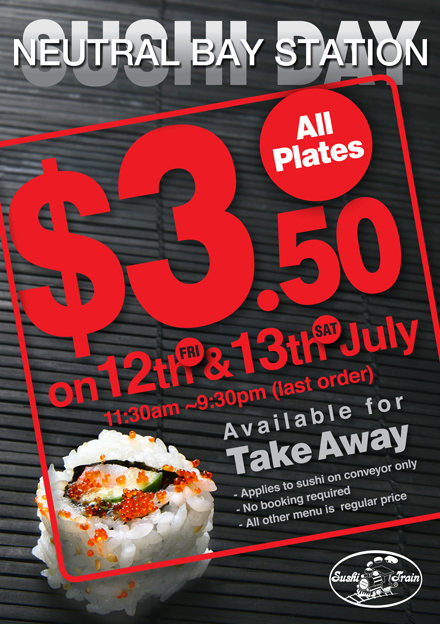 Sushi Train Neutral Bay Station Sushi Day $3.50 Sale!! Sushi Train Neutral Bay Station Only!! Applies to sushi on conveyor only. All other menu is regular price.